GSNs at Work: Greenpeace and the seal hunters of Nunavut. —including the notorious photo shoot with Brigitte Bardot lounging on ice floes with baby harp seals—awareness of the environmental crises growing in the world’s oceans was raised dramatically. Behind the headlines and the dramatic film footage of confrontations with commercial whaling ships and military ice breakers the decades since have been filled with drama, lawsuits, changes of direction and evolution of both leadership and mission. The small group that faced a commercial whaler in a zodiac boat developed into a global network tackling the challenges of the world’s oceans. It has also come to recognize that some of the regulatory successes of their early campaigns had unexpected impacts on indigenous groups, especially in the arctic. In 2014 the Canadian National Energy Board (NEB) announced a seismic surveying project off Baffin Island in Nunavut. 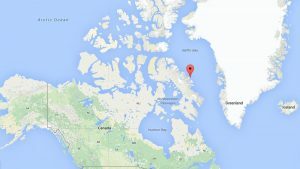 Clyde River, an Inuit community of about 1,000, is on the east coast of Baffin Island. Reachable only by plane, or by boat in the short summer, the community long ago lost a vibrant market for seal fur, but relies on whales and seals as staples of their diet. The residents had objected to the seismic tests over concern that the method would drive away the marine mammals, but NEB had not changed their decision. The mayor of Clyde River found a surprising ally in his community’s struggle against the energy company. In 2014, without funds to fight the NEB decision in court, and with a short window for an appeal, he happened to see a newspaper article in the Nunatsiaq Times. It contained an apology from Joanna Kerr, Executive Director of Greenpeace Canada, for the impact that the seal hunt campaigns of the early years had had on the Inuit community. …we acknowledge the role we played in the unforeseen consequences of these bans; in 1985, we issued an apology for our role in this, but now we must go further. Like the corporations we campaign against, we too must be open to change. Open to examining ourselves, our history, and the impact our campaigns have had, and to constantly reassessing ourselves — not just by apologizing, but by humbly making amends and changing the way we work. A community that had universally despised Greenpeace and the campaigns that had demonized their livelihoods and limited their economic potential now reached out to the GSN for support in their own campaign against a corporate initiative. Greenpeace, for their part, was surprised to be called so quickly to walk the walk that their apology release had suggested. In 2015 Clyde River lost its case in the Federal Court of Appeal, but with the support of Greenpeace, and new celebrity endorsement campaign with the actress Emma Thompson, the Supreme Court of Canada agreed to hear the request to overturn the NEB decision. Proceedings in Canada’s Supreme Court, in Hamlet of Clyde River, et al. 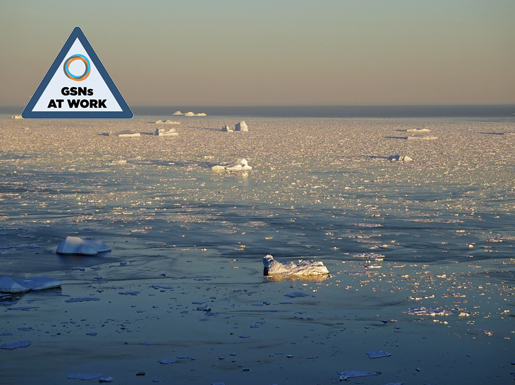 v. Petroleum Geo-Services Inc. (PGS), et al began on November 30 and Greenpeace, now a GSN with a deep mission to protect our oceans, forests, climate and democracy, will also be supporting the tiny community’s case for their future prosperity.